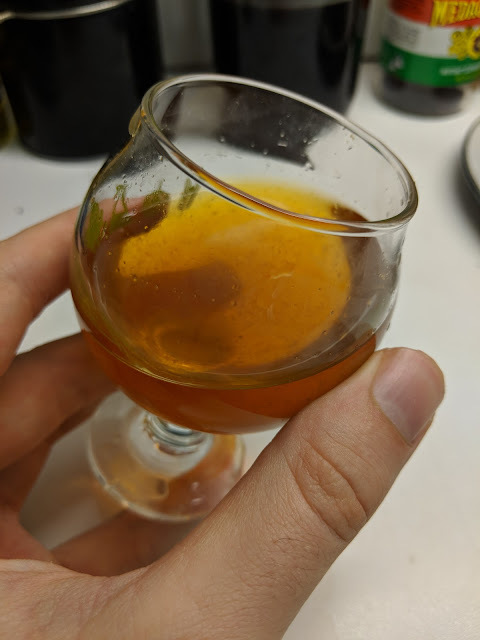 Based primarily off of the poem I discussed earlier, and cross-referencing other sherbet recipes, I made a caramelized honey lemonade, similar to bochet, which is mead made from caramelized honey. In the southern garden, boiled to red dragon marrow The honey should be boiled until red. This is a little conjectural, but I think fairly convincing. Other sherbets cook their syrups pretty severely: Compendium of Essential Arts for Family Living's Chinese Quince sherbet has you cook the quince slices in honey until it forms "flexible strands," which is pretty cooked. 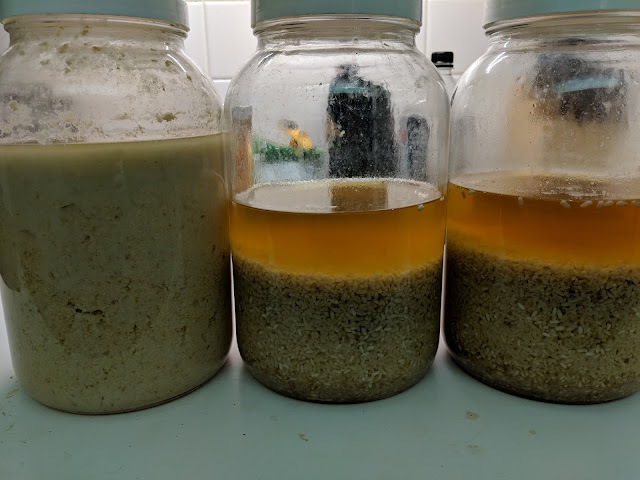 I got a similar effect after the syrup I made had cooled fully. heaven's winds, summer heat, good-for-"meng" fruit And then we add lemon juice. Sherbets typically have a fruit juice and an optional sweetener added, and this fruit is definitely it. Is it lemon? In my search for thirst-waters, I came across an 18th century reference to the Yuan dynasty planting lemon trees and using them for thirst-waters. I haven't been able to track down a specific historical provenance for that information, but I did find the poem they additionally cite about lemons (good-for-"meng" fruits). It's sort of helpful, and I suspect it's an oblique reference to bees making honey. Well, and also to drunkenness. This is a Chinese poem, after all, and if they're not about at least one of the moon, autumn, or drunkenness, they're probably not worth much. That said, I think most of the lines read independently like "Medieval China Gothic"
I was trawling through a really large Yuan Dynasty cookbook The Compendium of Essential Arts for Family Living when I came across a section of recipes titled "thirst-waters." Curious, I read more. 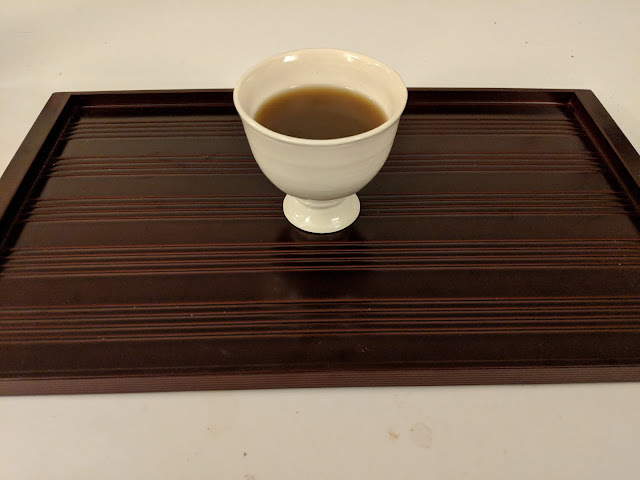 I brought one new wine to King and Queens Arts and Sciences: a "boiled" millet wine. 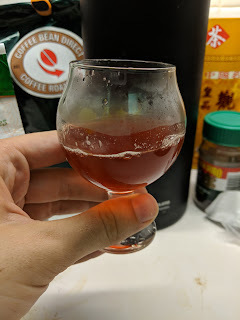 This is the first wine for the second "exceptional" yeast cake recipe in Qimin Yaoshu - the yeast cakes I'm actually using at the moment. It's got something weird going on. Let's dive in.